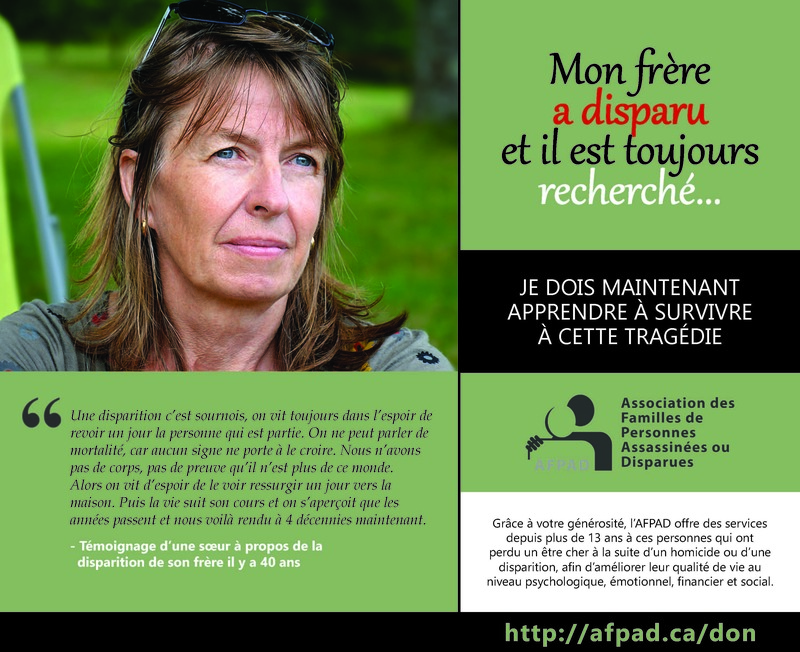 When tragedies such as these occur, we often don’t know what to do. 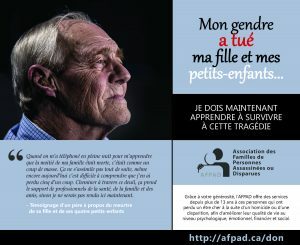 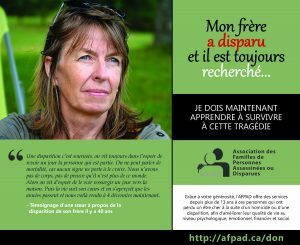 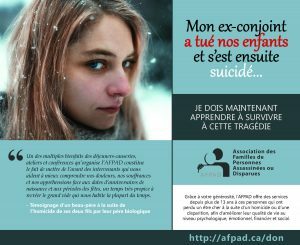 Why not give to AFPAD? 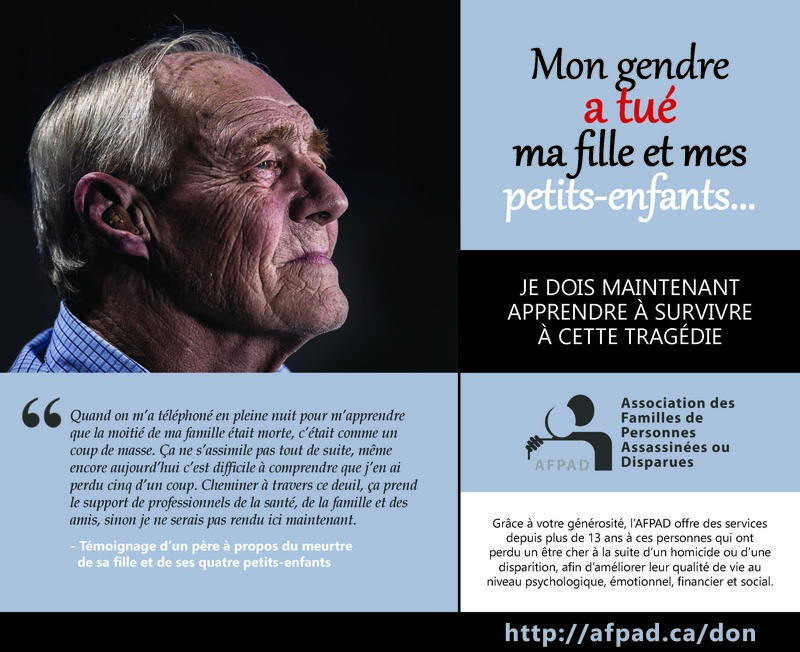 All donations received are used towards services and financial aid for our members: psychological assistance, workshops about dealing with a traumatic death, judicial expenses during trial, organising memorial celebrations, legal assistance, etc.